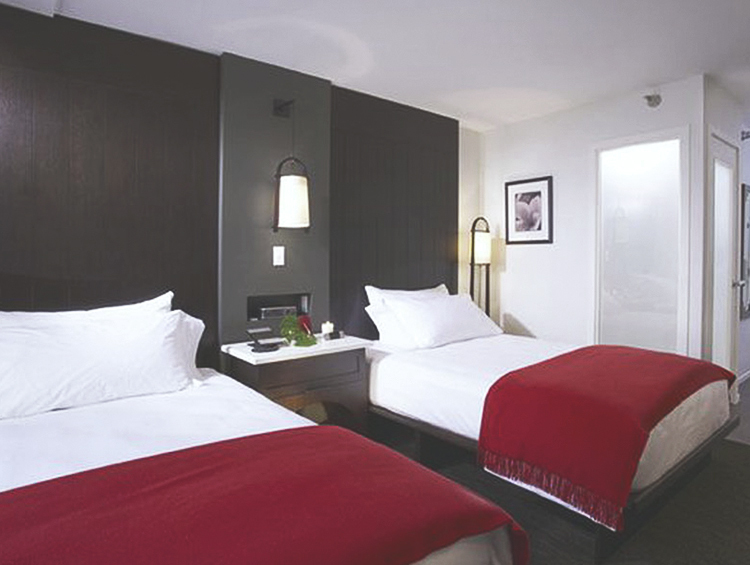 Retreat to your Zen-inspired room filled with plush pillows, fine linens, and luxurious bathrobes. Every room features spectacular ocean or urban views of Waikiki and some of our rooms are dog-friendly, for those traveling with their furry friends. Back in the lobby you can borrow beach gear, or pick up forgotten travel items as part of our “We Remembered” program and enjoy daily complimentary breakfast with coffee and tea. Dream big in an exquisite ocean view room, where it’s easy to gaze out across the Pacific Ocean from the comfort of a king bed. 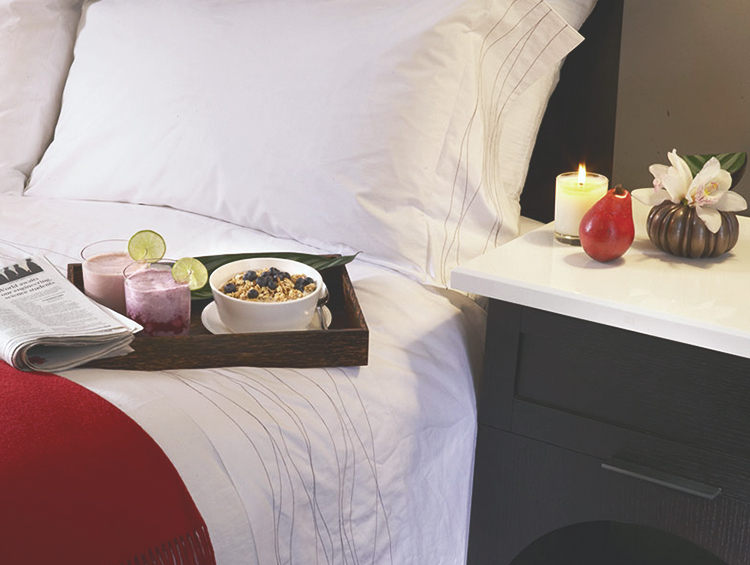 This premier ocean view room boasts two double beds, a Keurig coffee maker, iPod docking station, and spectacular ocean views. 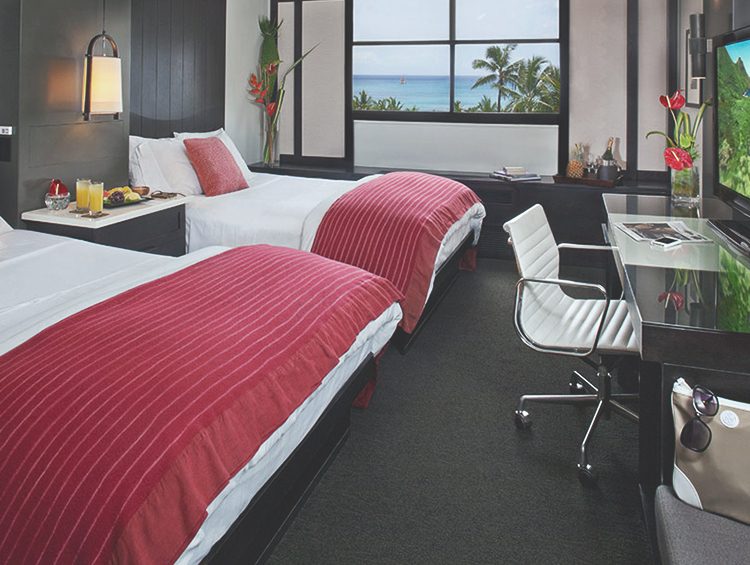 Savor modern amenities, contemporary decor, and scenic views of Waikiki from the comfort of a luxurious king-size platform bed. 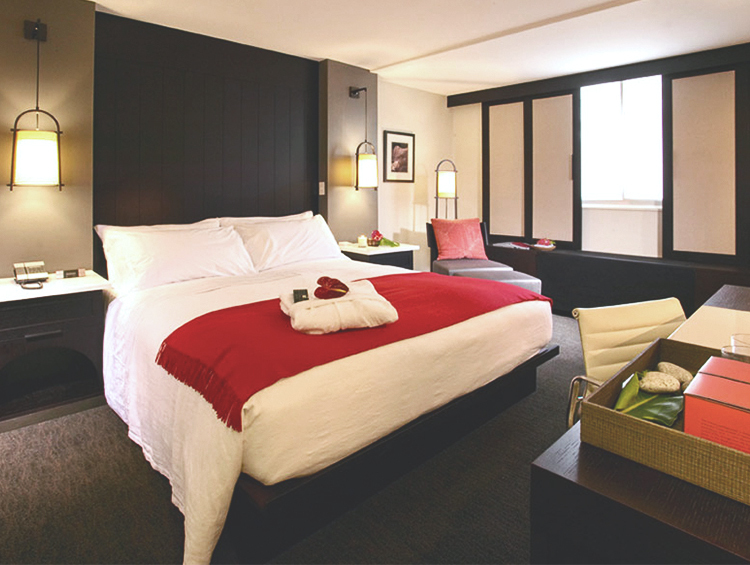 Enjoy all the perks of this urban view room, complete with two platform beds, plush pillows, and luxurious linens for a sound night’s sleep. Kick back and relax in a stylish room with local artwork, dark wood accents, contemporary furnishings, and spectacular city views. 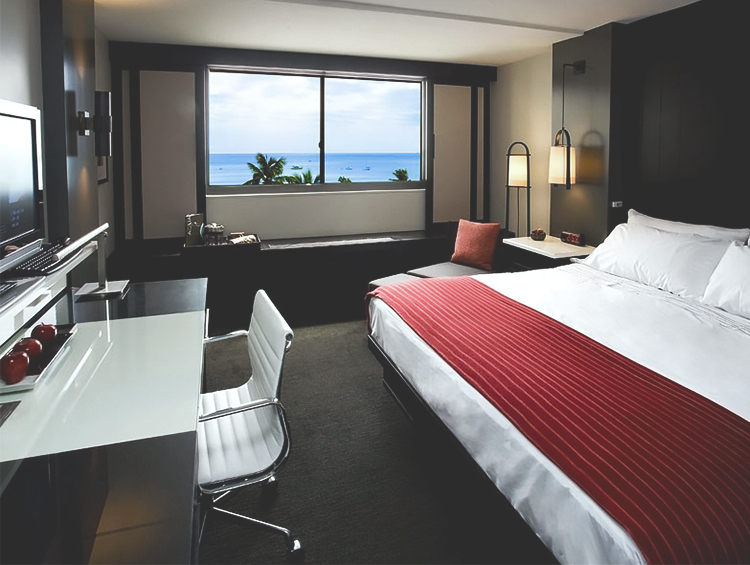 The accessible king room includes all the perks of the premier ocean view king, plus convenient accessible amenities too. What is included in the Amenity Fee? Daily Continental Breakfast -7:00 a.m. to 9:30 a.m.
Self Serve Iced Coffee Bar featuring Hawaiian Paradise Cold Brew Blend available daily from 12 p.m. to 4 p.m.